Answer: Bathtub refinishing is in danger of entering the pantheon of home remodeling semi-scams--along with vinyl siding and replacement windows--yet I do not understand why. I suppose it is because, along with the windows and siding, it is viewed as a "cover up" measure rather than as a "real" way of dealing with the problem. I say - go for it! 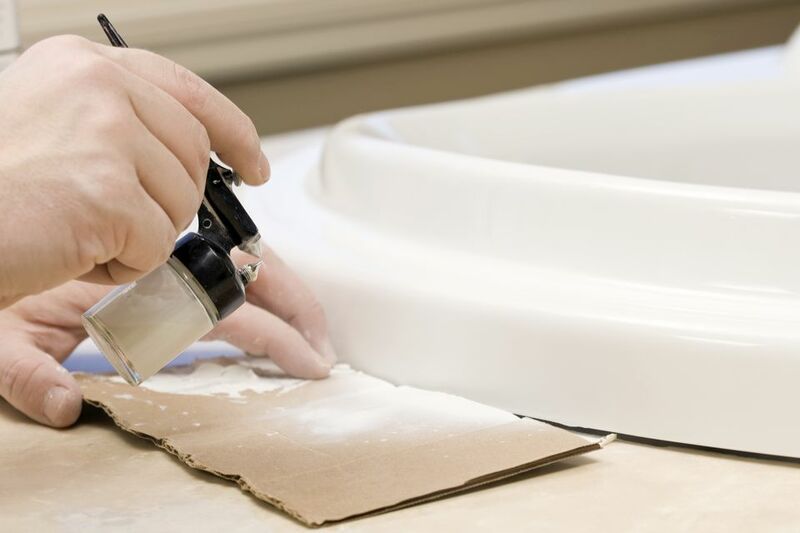 While not as complete as a full bathtub replacement or even a bathtub liner, bathtub refinishing is a legitimate way of solving the problem of a nasty bathtub. Besides, bathtub liners come with their own set of problems: they can trap water and you lose the beauty of the tub itself (provided that you had a nice tub, to begin with). First of all, I do not recommend DIY bathtub refinishing if you want a first-rate finish. You need to hire a local company with the skills and, most importantly, right tools for the task. DIY refinishing is good in a pinch, and it has a shorter lifespan than if done by professionals. Quality varies from company to company, and in an informal poll of some homeowners who have had tubs refinished, quality seems to hinge on one thing: preparation. A poorly prepared bathtub results in peeling paint and unhappy homeowners. Another common complaint is chips. Many homeowners report that their refinished tubs get chips within months of refinishing, after even normal use. It is not known, though, which company did the refinishing, what they did, how they prepared the surface, etc. Also, this does not seem to be an industry-wide complaint. Cost also varies, but most homeowners appear to be spending around $550 for the service. Some homeowners say that they have paid $250-$300 for bathtub refinishing, but these also tend to be the homeowners complaining about the poor quality.